SEO may target different kinds of search, including image search, local search, video search, academic search,news search, and industry-specific vertical search engines. How do Search Engines Work and how does it Effect Website Ranking . Google says that there are thousands of different “ranking factors” that affect where your website appears in their index. Within each of these categories is a cornucopia of different factors and your total SEO score is based on how well you score against these factors in each of the three categories. There was a time when an architectural problem, e.g. a technical problem with the build of your website, was sufficient to remove you from the index completely. There are still a few problems like this, but overall Google and the other search engines have become much better at working around technical issues in website construction. That’s not a reason to ignore technical issues, but if you focus only on these issues then you’ll be missing two-thirds of the picture. Backlinks (links from other websites to yours) were, without doubt, the most important Google SEO Ranking factor for a very long time. Google reputedly experimented with an index that did not take backlinks into account and it failed to produce good results. Backlinks are notoriously easy to manipulate, sadly, and so Google and the other search engines have increasingly stringent rules on what kind of links they consider “good” and which “bad”. Today, the mantra of many an SEO is “Content is King”. Google’s most recent update (Medic) focusses very much on the quality of your content, how much of an “expert” you appear to be, how much authority you have in your sphere/niche/sector, and how trustworthy your website appears. On Page SEO: On page optimization is the optimization techniques which are used on the page of the website.All the changes are on the page of the website and all are visible on the website. Off Page SEO: Off Page Optimization is the optimization techniques which are used everywhere except on the pages of the website. This optimization does not deal visibly on the website pages. Basically links are generated by using this technique. Through Use of SEO Resources we get connected with other websites of same relevancy and also keep changing our website’s content and structure as per Google strategies. And in result, we get huge traffic to our website, increase the ranking of our website in various search engines and also increase visibility. 93% of on-line experiences begin with a search engine. 68% of which use Google. Its plain to see that Performing Google SEO ranking tasks on your site is extremely important. 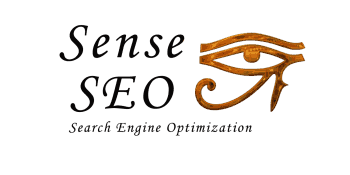 With that in mind armed with SEO Resources,will give you the edge in SEO rankings. This in turn will give you the best chance of creating income.